As the LEGO series has aged, it has also matured, and the most recent games have been particularly delightful. One of the best features of LEGO Batman 2 was the expansive hub "world" of Gotham City. 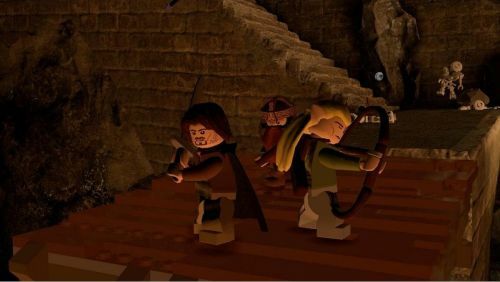 LEGO LotR promises to allow players the freedom to "explore all of the open-world of Middle-earth". Hopefully, this means something more akin to the enormous city of Gotham than the more tightly controlled hubs of previous LEGO titles. A few other details have come to light, as well. A crafting system, where players can visit blacksmiths to create Mithril goodies, will be in place. A roster of no less than eighty characters should keep completists busy for quite a while. Like Sauron, we'll certainly be keeping a close eye on the hobbits as LEGO Lord of the Rings heads our way.